Reiki, which is commonly called palm healing or hands on healing, is a form of alternative medicine and is sometimes classified as oriental medicine. Through the use of this technique, Reiki masters believe that they are transferring universal energy (i.e., reiki) through the palms, which they believe allows for self-healing and a state of equilibrium. Whether you are a believer of energy readings or not, we do not find it hard to believe that redheads have stronger (and more stubborn) energy! Quick tips to restore the BALANCE in you and your home! As summer is coming to a end, last vacations are taken, school shopping starts, if your like me, sad to see the summer go but happy to get back on a "normal routine". Here are some quick tips to restore balance in your home and in your soul. 1.Clean out the clutter, just because the "thing" is gone, it does not mean the memory is. This will help clear the energy for new clutter, just kidding. Just close your eyes and start throwing away, papers, unmatched sock Clutter-Busting Secrets of the Pros | RealSimple.coms, anything that been hanging around too long and not being used. 2. Sage your home, the smoke gets rid of negative energy and changes the feel of your home. If you don't like the smell of sage, use incense. 3. Salt, salt gets rid of negative energy, get a Himalayan Salt salt lamp, its a nice glow and helps restore the balance Also you can buy chucks of salt and just sprinkle it outside your home, hey cant hurt but does help restore balance. 4.FRAME your kids artwork, pick up some wall frames in Michaels or Target, this is a great cure for the taped up artwork, and it does look cheerful and always makes me smile. Art feeds the soul, especially when your children make it, especially after you paid for art camp its nice to see your investment. 5. Plants, Purifying plants are great, they are good for you and the environment. Bringing nature in feels good, and the plants can also lessen the toxins in the air. Indoor detoxification and purification of the air. 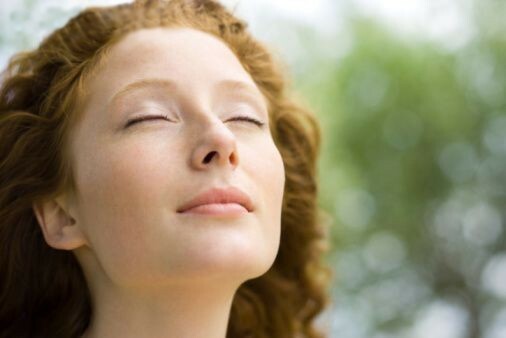 6.Aroma therapy, use the oils to attract what you want. I mix my own oils and the peppermint lemon, always wakes me up and the lavender relaxes. You can put a dab on a light bulp and it smells great and adds a new energy to the room. I will talking more and more about restoring balance, but these are just a few reminders, and tips. Sending you good energy as always!